I wanted a solution to dust going in my sound mixer plug holes. 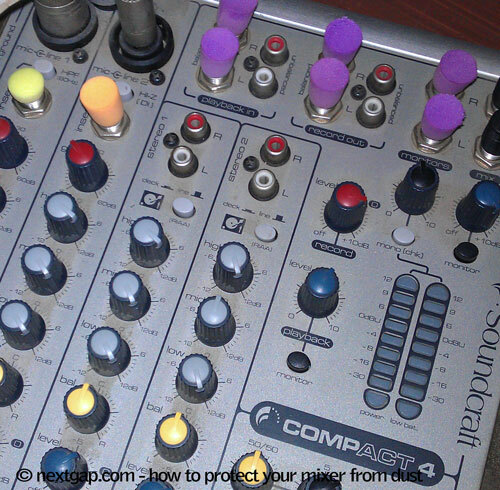 I could have used a towel or a cover but I wanted something that would not hide the mixer and still give me dust protection. So, I just plugged ear-plugs in the holes. For the RC plugs you can use RC plug heads, that is the plug without the wire.